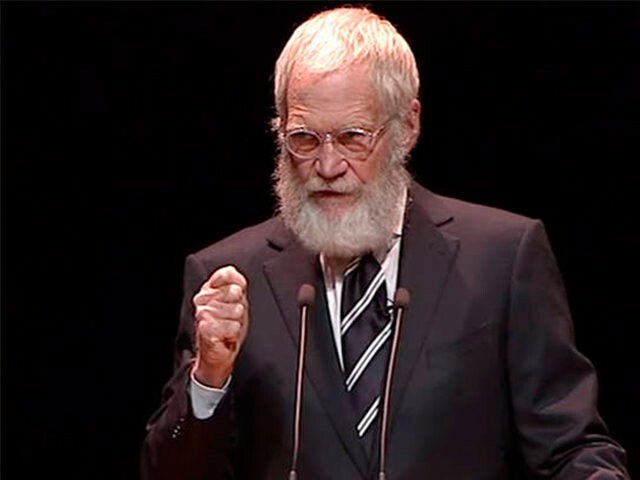 Letterman — who came out of retirement last year to mock Trump with a “Top 10” list — called Trump a “perfect” late-night guest who could “take a punch like nothing,” but said he never expected the billionaire real estate developer to get so far in the presidential race. The 69-year-year-old retired comic thought Trump would be undone when he called some illegal immigrants from Mexico drug dealers and rapists while announcing his run for the presidency, and later allegedly mocked a reporter for a physical disability. Letterman also blamed the media’s influence for Trump’s victory in the Republican primaries. “The thing about Trumpy was, I think people just were amused enough about him to keep him afloat in the polls, because nobody wanted the circus to pull up and leave town,” he said. In his interview — timed to promote his appearance in the upcoming season of National Geographic series Years of Living Dangerously, which focuses on the effects of climate change — Letterman took aim at current late-night host Jimmy Fallon, star of NBC’s The Tonight Show, who came under fire last month from critics who accused him of going too easy on Trump in a recent TV interview. Read Letterman’s interview with the Times here.